We recently had the opportunity to interview Ken Robinson, a co-founder of Ark Advisors, the nation’s #1 ranked expert in helping marketers and procurement executives source agencies (creative, media, digital, direct, PR, SEM, etc.). Having worked on all sides of the industry — as agency CMO, as a marketing decision-maker on the client side, and now as an agency search consultant, Ken knows what it’s like to be in a pitch from all seats at the table. Needless to say, he’s a wealth of knowledge on the agency pitch. We were able to get a lot of useful insights from Ken that will be helpful for both agency owners and brand executives, and we’ll be sharing some of those in a series of upcoming blog posts. 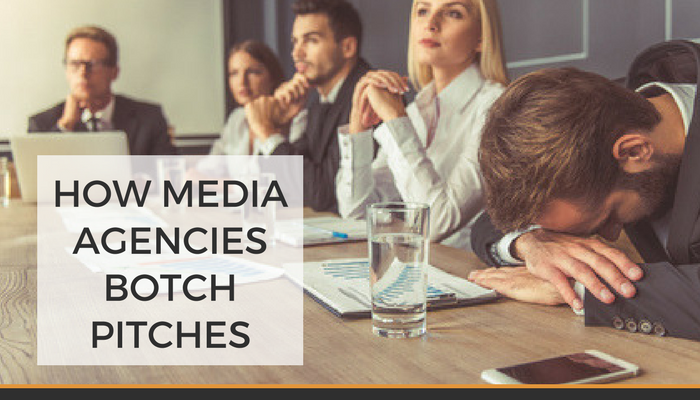 Today, though, we’re going to kick it off with a focus on media agency pitches. “I think what is disappointing in the past 18 months, I would say, is media agencies that are so hyper-focused on their data, analytics, and programmatic capabilities — they are so focused on their ability to provide efficiency in buying — that they have lost the thread of creativity in media. Tip: If you commoditize your offering and are differentiating your agency by price, you are helping clients think of your services in terms of dollars and cents and pushing them in the direction of whichever agency is the cheapest. That creates a no-win situation. So then we asked Ken whether he thought media agencies had less creative talent, or if they were just underperforming creatively in the pitch? Media agencies, read that again, because it just may save you a lost pitch! That is not just a positioning issue, but also a communication issue. When you are going into a pitch, you better know what the client wants! Survey after survey has illustrated the gap between agency and client perceptions, and much of it comes down to simple communication. Check your assumptions, or it could cost you. It’s a mixed bag out there. Some media agencies aren’t even bothering to connect what they do to creative or consumers. Then again, I also found one “top media agency” (according to the Google search results) whose site was so creative, I couldn’t even figure out what they did (too much, guys, too much). Another media agency site succeeded in showcasing their creative front and center in a sensible, user-friendly manner. Some clearly get it, some don’t. Which group does your agency fall in? 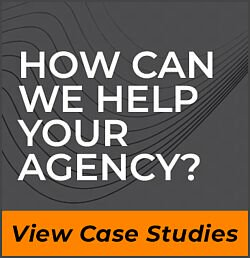 It’s always a good idea to keep tabs on how other agencies in your space are differentiating themselves and visit other agency websites to see what’s working and what isn’t (selling on low price isn’t). Most importantly, if you are going to pitch, make sure you understand what the brand is looking for — it may not be what you think! Thanks again to Ken Robinson at Ark Advisors for sharing his valuable insights with us. We’ll be sharing more of his insights in future posts, so stay tuned! © Duval Partnership 2016. All Rights Reserved.